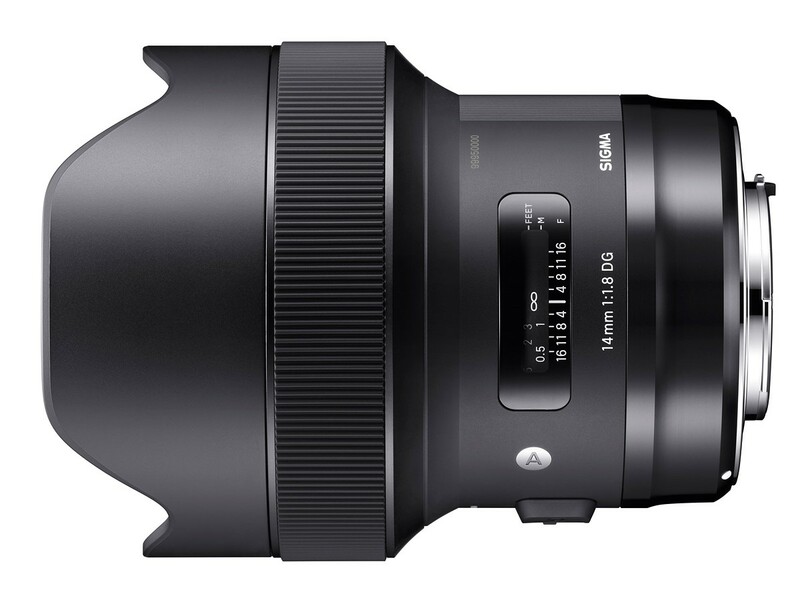 Sigma has announced three new lenses. 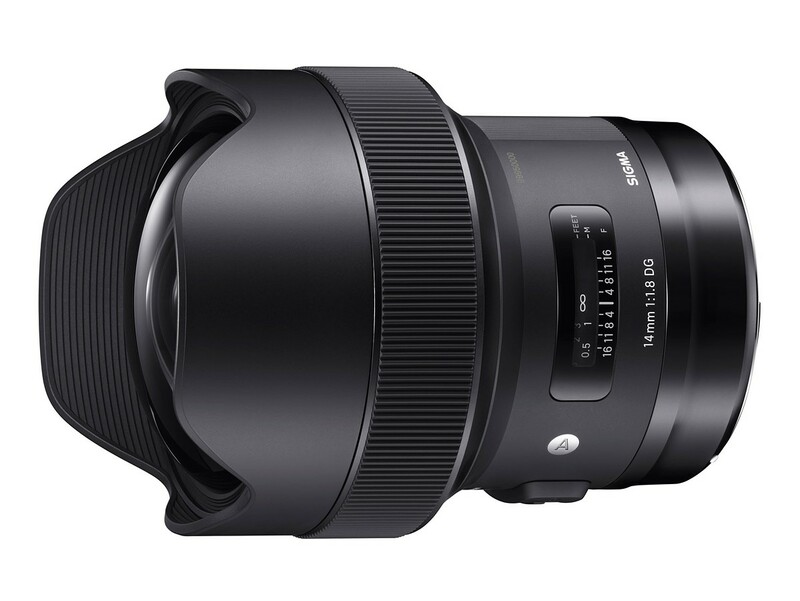 The first lens is the 14mm F1.8 DG HSM Art that Sigma claims is the 'world's first and only F1.8 ultra-wide-angle lens.' The lens has 16 elements, three of which are FLD (low dispersion) and four are SLD (super-low-dispersion). It also has a large (80mm) aspherical front element to reduce distortion and 'deliver outstanding image quality from the center to the edges.' The 14mm F1.8 has 9 rounded aperture blades, a minimum focus distance of 27cm/11in and a ring-type ultrasonic (HSM) focus motor. By leveraging its extreme angle of view and the dramatic perspective this creates, an ultra-wide-angle lens can get up close and personal with a subject while at the same time taking in a vast background—an example of photography going beyond normal human vision. SIGMA 14mm F1.8 DG HSM | Art combines the extremely deep depth of field that comes from an ultra-wide angle of view with the extremely shallow depth of field that comes from F1.8 brightness. The result is a sharply captured subject set against a vast background dramatically blurred with a beautiful bokeh effect. It is a highly impressive mode of photographic expression that until now simply has not existed. The SIGMA 12-24mm F4 DG HSM | Art was the first SIGMA lens to feature a large ⌀80mm aspherical lens element. Building on the expertise derived from this success, the new lens features a large ⌀80mm precision-molded glass aspherical lens as its front element. This technology has made possible the 14mm F1.8 specification—the first of its kind.